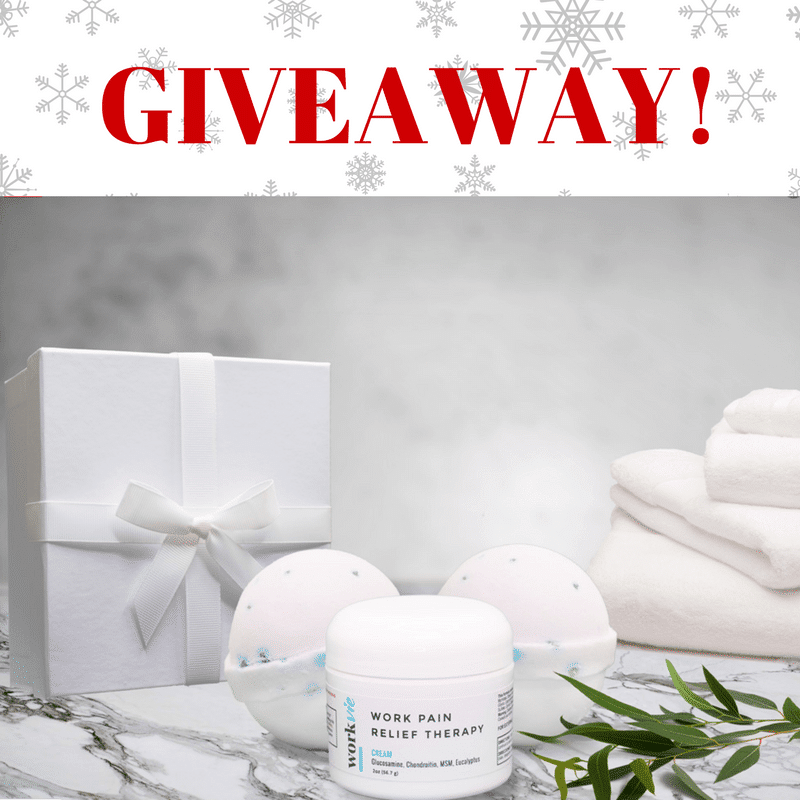 Thanks to workvie for giving me the opportunity to try Work Pain Relief Cream and for sponsoring the giveaway below! Like millions of other women, I am a working mom. I wake up at 5:45 am to get myself and my two children ready for the day, and we’re out the door a little past 7. By the time I drop one child off at daycare and the other off at school, then make the commute to work, it’s about 7:45. Then I spend the next 8 – 9 hours in meetings or at my computer, before I head home around 5. I’ve had a desk job that involves long hours at a computer for the last 15 years. After so many years of typing my fingers, hands and wrists get achy on a regular basis. That’s why I was super excited when I heard of workvie! Workvie is a natural way to relieve pain at work and life. It’s a nutrient rich pain relief cream that is made with glucosamine, chondroitin, msm and eucalyptus. It’s kind of like taking a supplement through the skin, when you apply it topically to specific areas that needs pain relief. I have been able to experience first hand how effective workvie is on achy hands. I’ve also read numerous testimonies on how workvie is the best carpal tunnel relief with natural ingredients. But it does more than provide the best carpal tunnel relief. It helps soothe sore shoulders and arms (you know, the kind you get when you’ve carried around a toddler for too long). It provides relief to achy feet after a long day of running errands and chasing children. And as someone who is working on finding healthier alternatives in a processed world, I truly appreciate that I can get pain relief using natural ingredients! The kind people at workvie want to help you get pain relief, so they’re giving one lucky Homemade for elle reader a gift set! Open to US residents only. Winner will be selected on December 17th. Good luck! I’d like to try the Work Pain Relief for my wrists. I’m excited to try both the bath bombs, and the work pain relief therapy cream! I am excited to try the work pain relief cream. It is hard for me to pick one over the other, as each sound appealing! However, if I had to pick one, it would be the pain relief. The pain relief therapy! I’ve had brain, skull & spine surgery for Arnold-Chiari and I get a lot of muscle pain in my shoulders and neck. Thank you! I WOULD LOVE TO TRY THE PAIN RELIEF CREAM. I would love to try both. I have not tried the bath bombs before. I want to try the most is the bath bombs. I would love to try the Work Pain Relief therapy for my neck and shoulders. I am excited to try both. The work Pain Relief Therapy is what I am most excited to try for muscle pain and sciatica pain. This sounds so good. Thank you so much for your wonderful giving spirit and a chance to win. I would like to try both but I would also like the pain relief cream for my Mom she could really use it. They both sound amazing! The cream would definitely benefit me more! For myself I’m super excited about trying both of the products I think the hand cream is going to be wonders around my wrist but the bath bomb sound awesome too. I’m excited to try the Pain Relief Therapy Cream. I would love to try the bath bombs!! These look amazing!